I had a wonderful half day cooking with you and your daughter at your sweet home. And I very much appreciate your flexibility to include a dish I wanted to know how to cook in my lesson. I think you are a very open minded person and are able to create a lovely personal atmosphere with your guests. 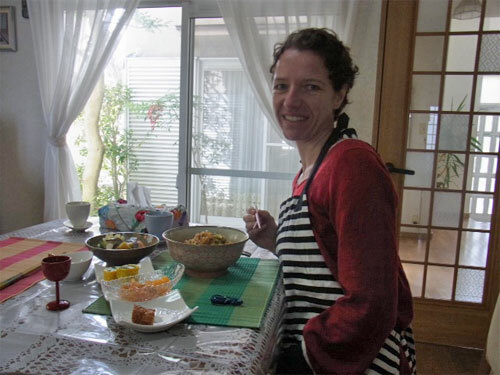 For us being a tourist or business traveler it is such a precious thing to get a small glimpse of a life in Japan throughout this cooking experience. Which you could otherwise only come across when you have friends in Japan an are invited in their home. I wish you all the best for you and your families life yet to come. And i look forward to see you again in the future. 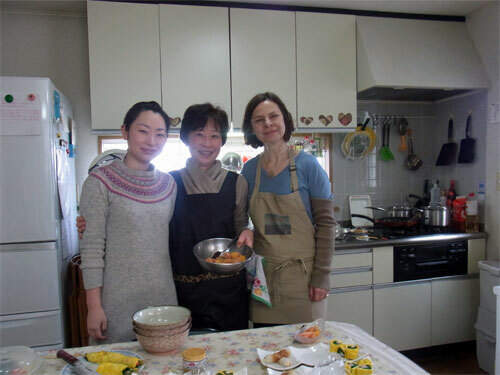 Thank you so much for the lovely cooking experience in Osaka, it was great fun and a nice “adventure” coming to your house and see how Japanese people cook. My regards to your daughter, too!